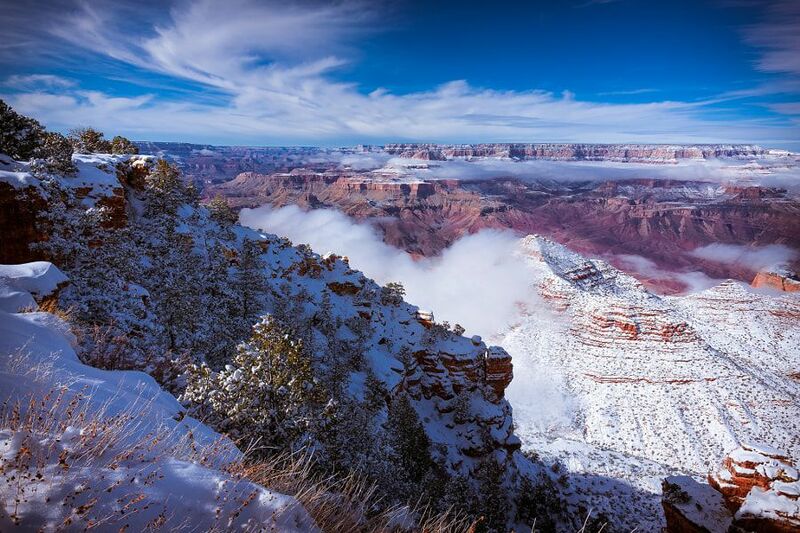 Winter Snowfall – Grand Canyon by Pat Kofahl - Together, We Make Memories! A January snowfall turns the Grand Canyon into a winter delight, covering much of the red rock with a blanket of white.This fine art image by Pat Kofahl is available in multiple sizes on paper, canvas, metal and plexiglass. Prices start at $49.00!